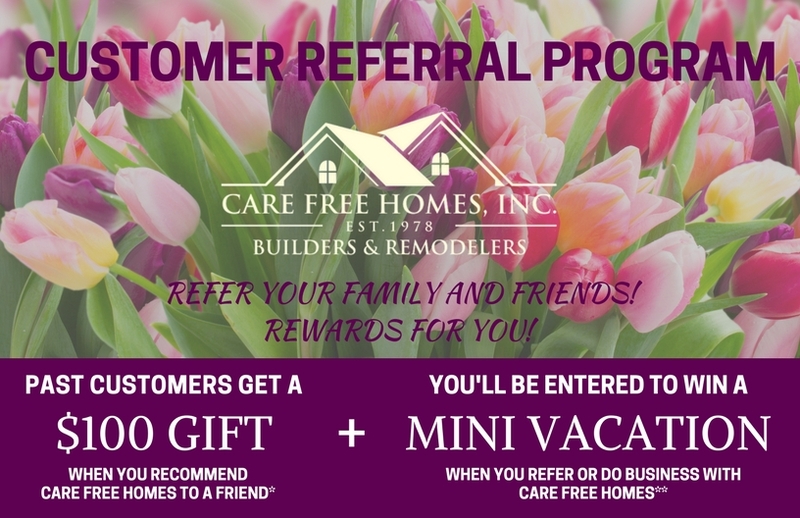 Care Free Homes Customers can take advantage of our successful Referral and Rewards Program! 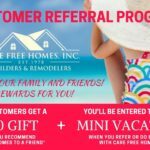 $100 VISA Gift Card: Recommend Care Free Homes to your friends and family and you could earn a $100 VISA Gift Card! Have them mention your name when making an appointment for a quote and we’ll send you a gift card once their project is complete. We mail out rewards at the end of every month. 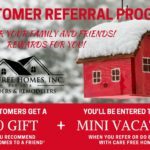 White Mountain Weekend Getaway Giveaway: When you do business or recommend Care Free Homes to your friends and family you’ll be entered to WIN a White Mountain Weekend Getaway! Care Free Homes will provide hotel accommodations and a gas card to get you there! All projects and referrals contracted between January 1, 2019 through December 31, 2019 will be entered into the random drawing. The winner will be selected on January 1, 2020. Check out last years winners here! So the next time you’re out to dinner with friends, going out for a nice walk around the neighborhood, or enjoying a nice cone of ice cream with the family – make sure to mention Care Free Homes and you could earn yourself a sweet prize! We cannot thank our fantastic family of Care Free customers enough! – we are honored by your loyalty and continued support of our family business! You are the best!